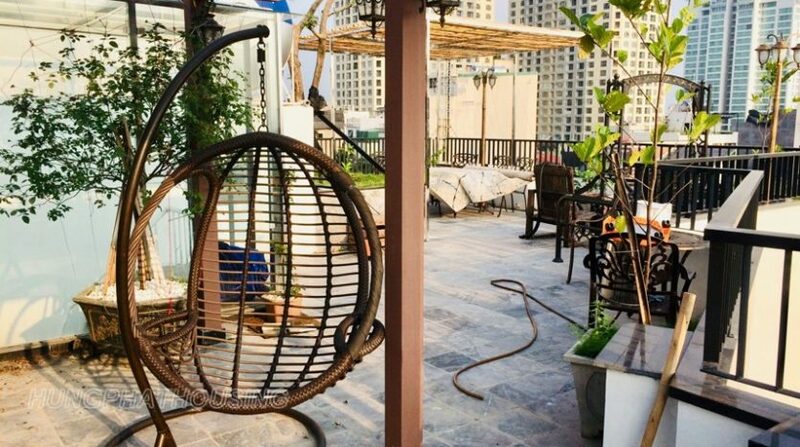 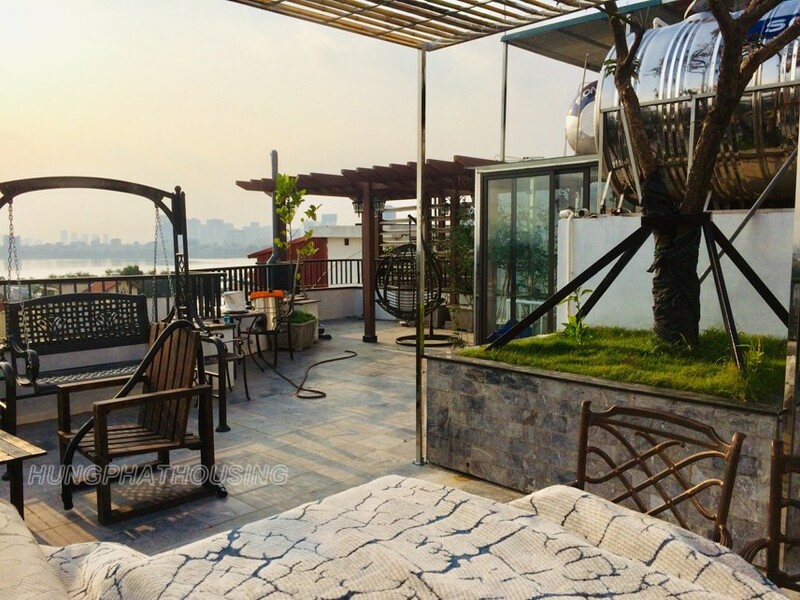 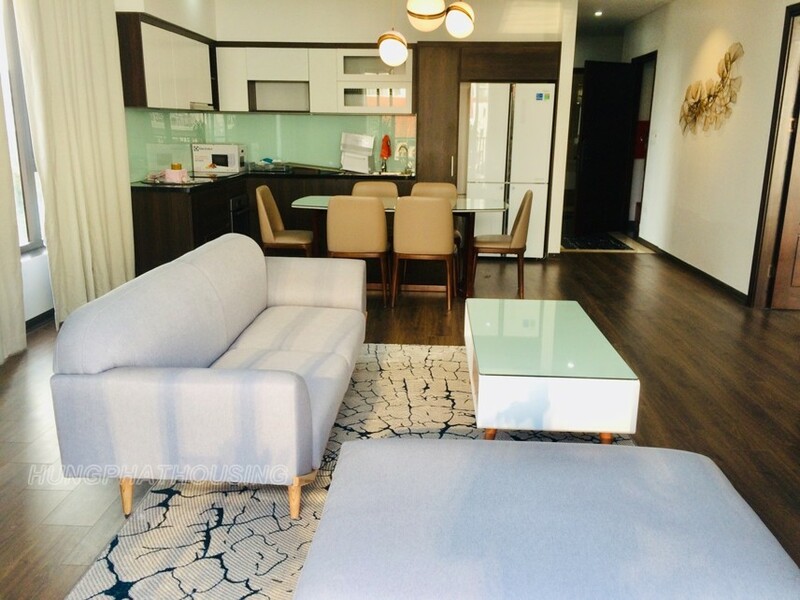 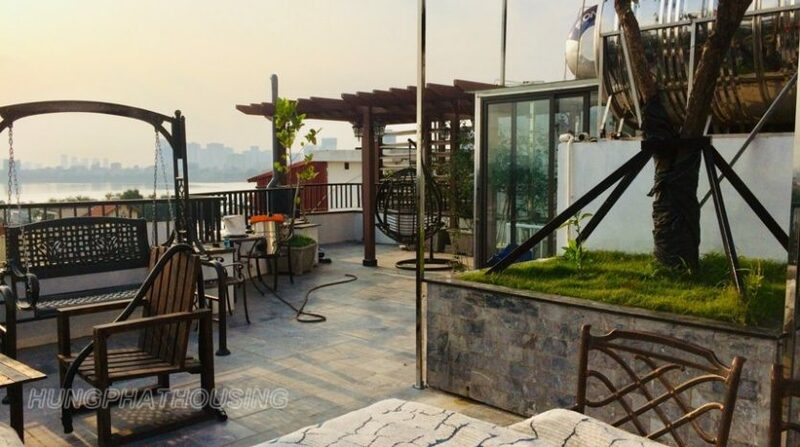 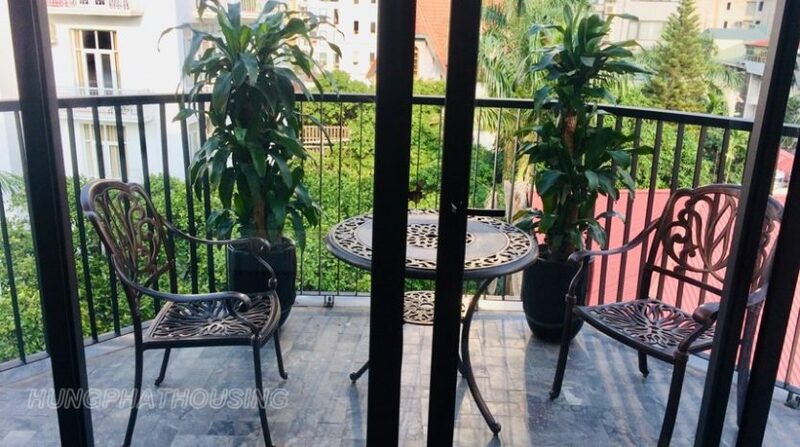 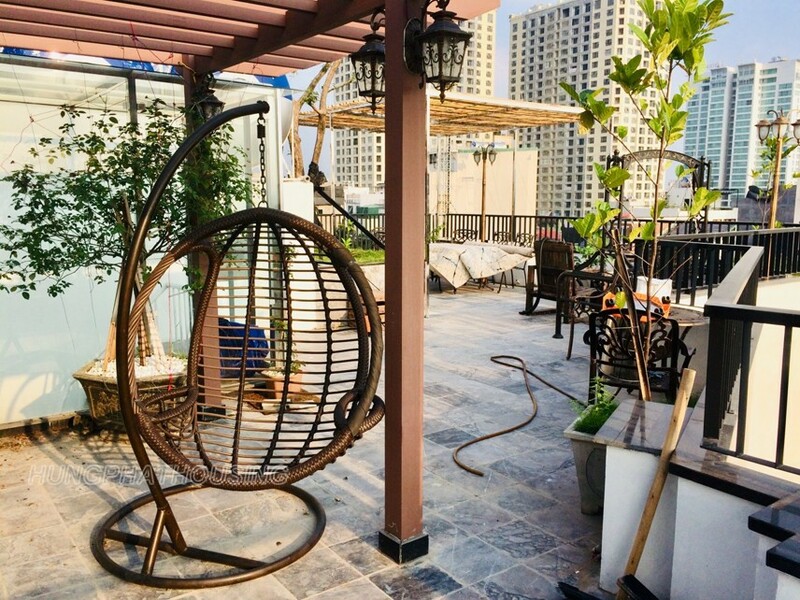 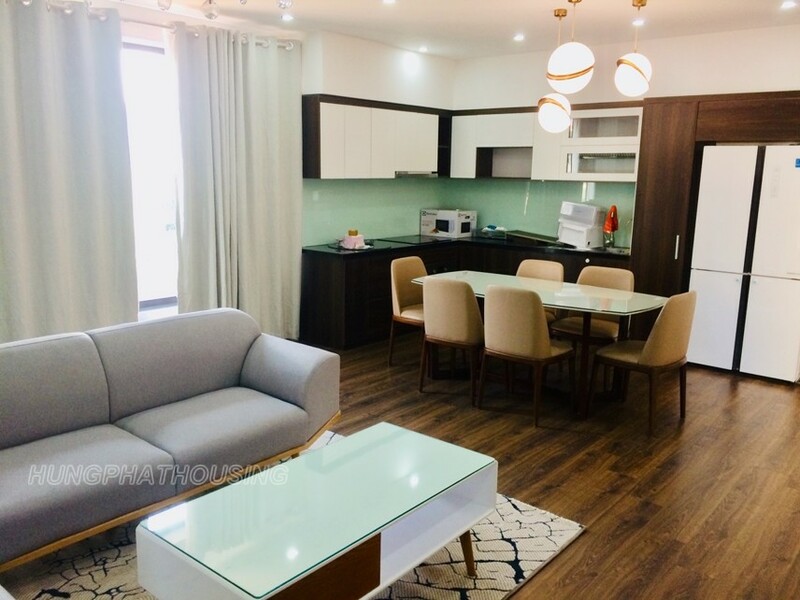 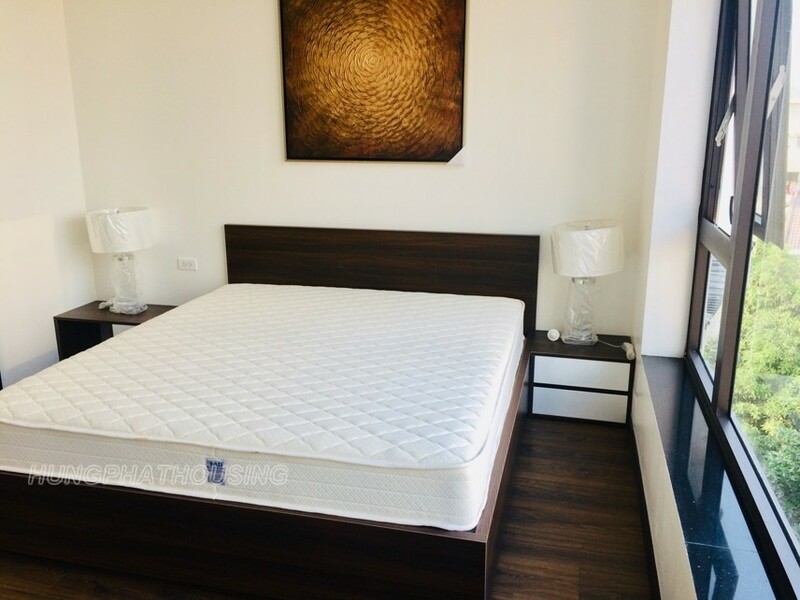 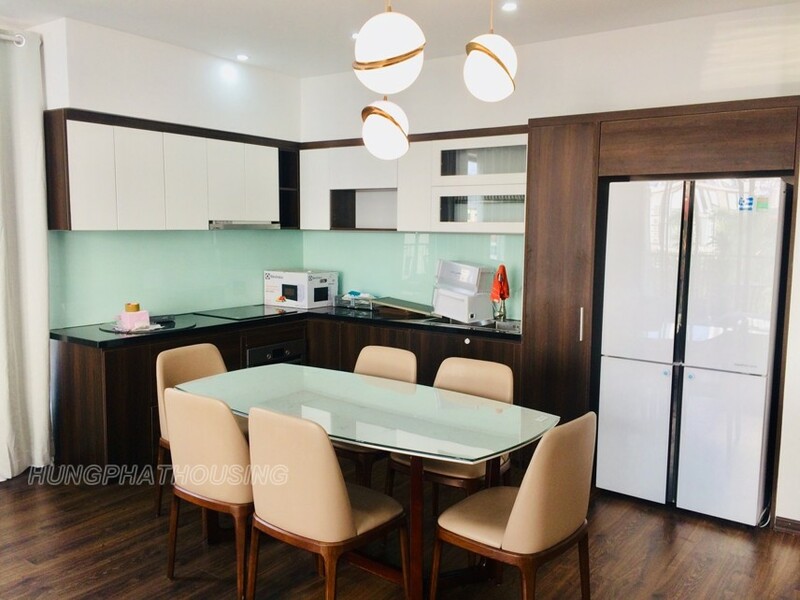 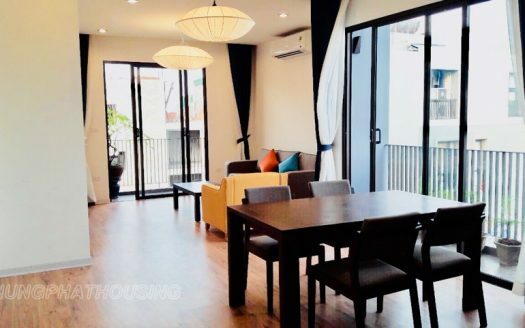 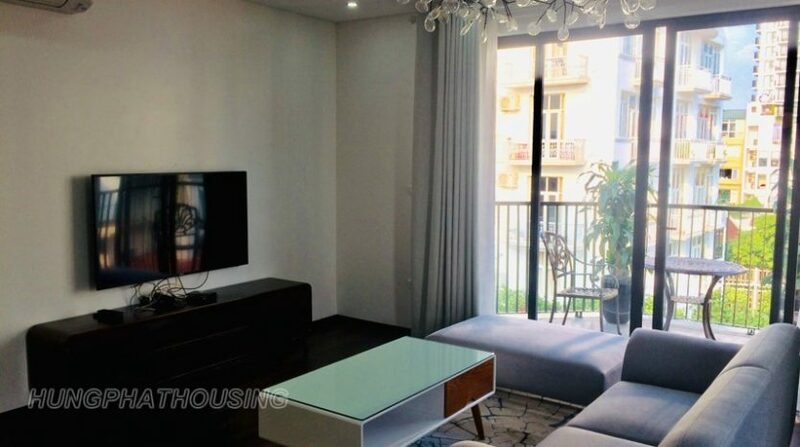 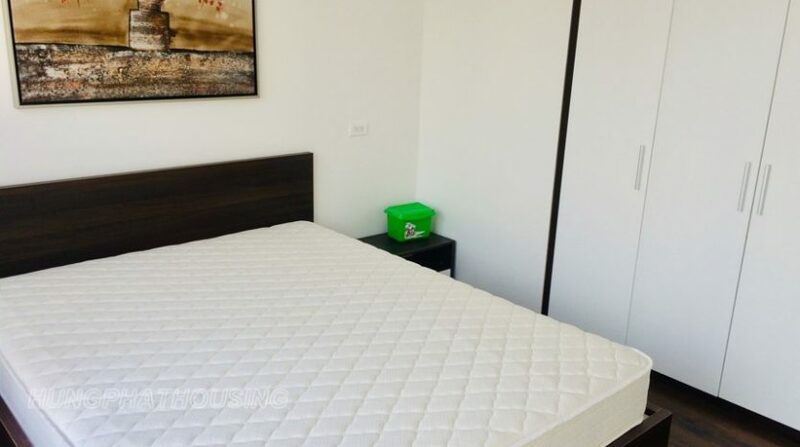 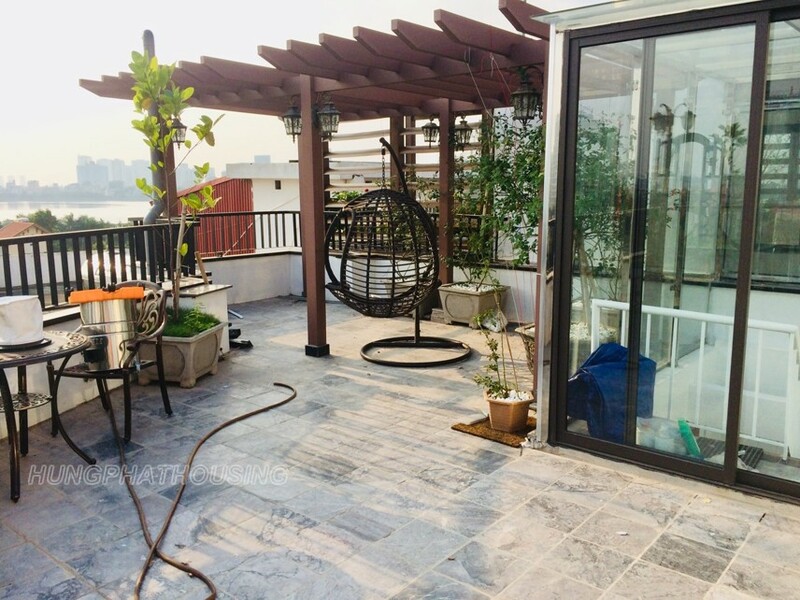 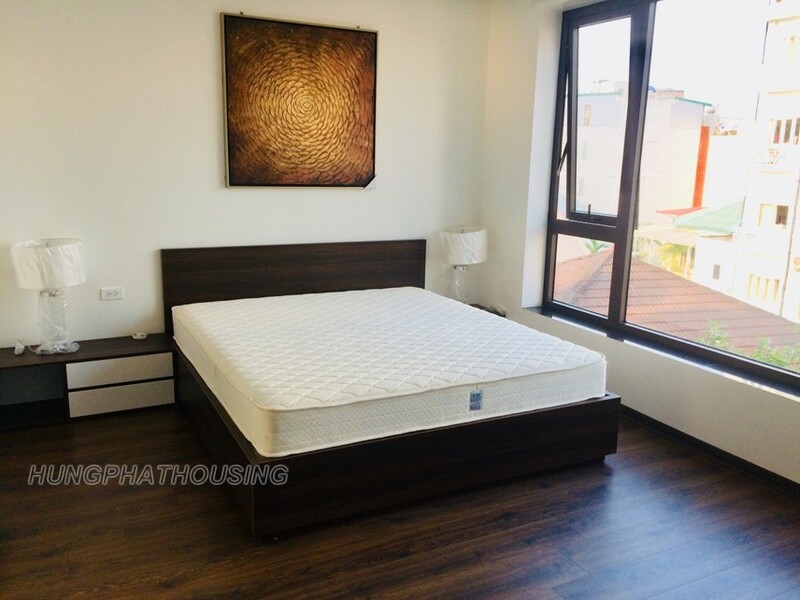 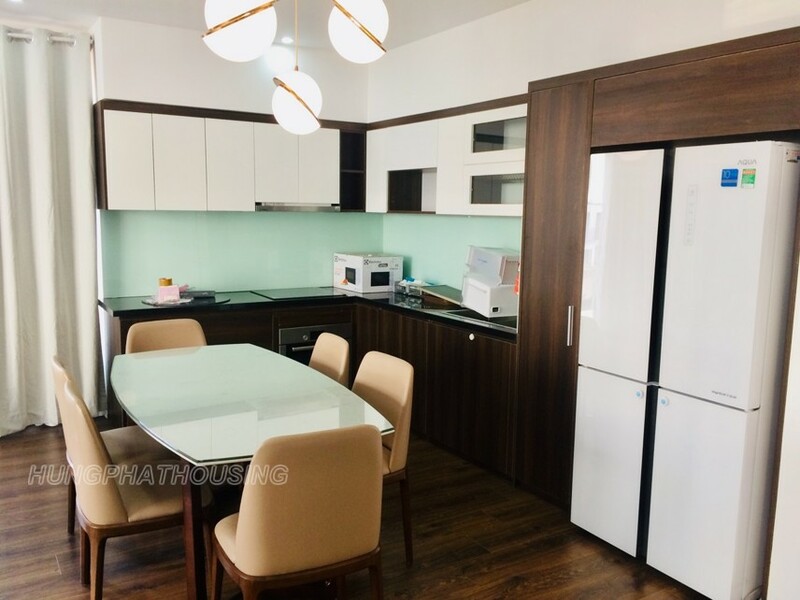 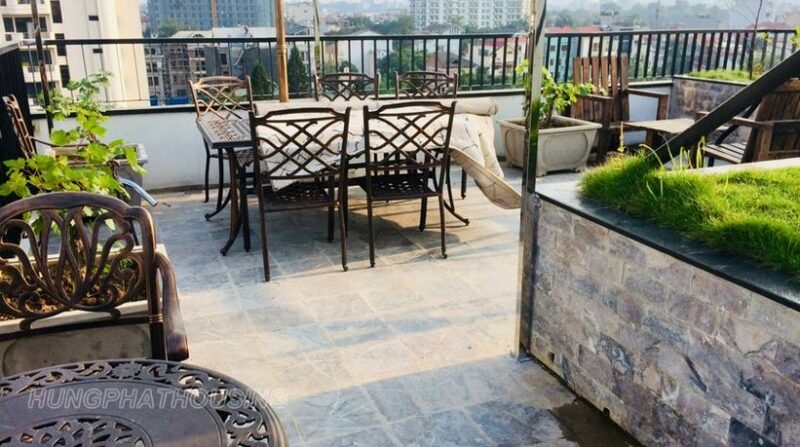 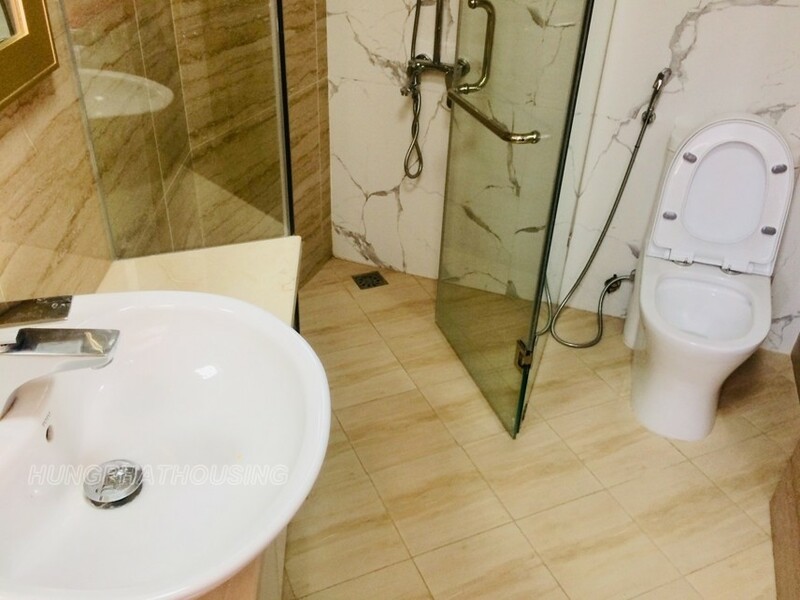 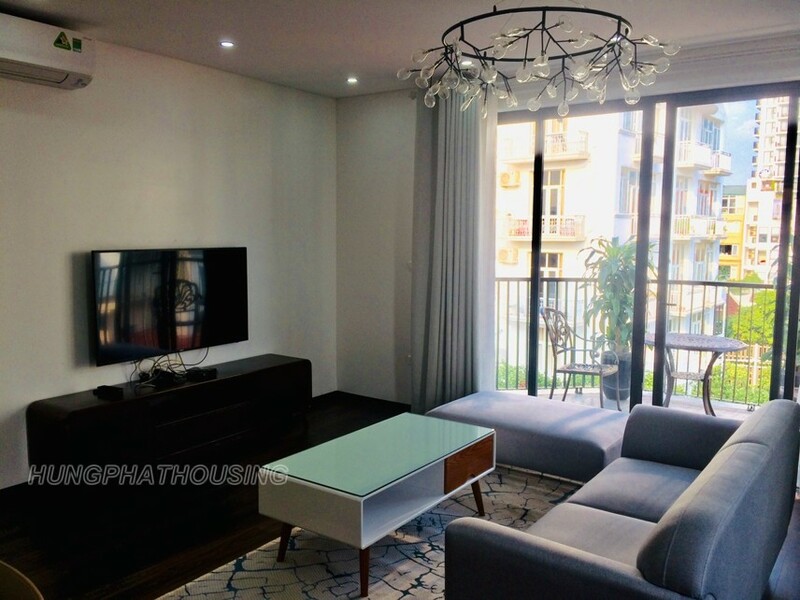 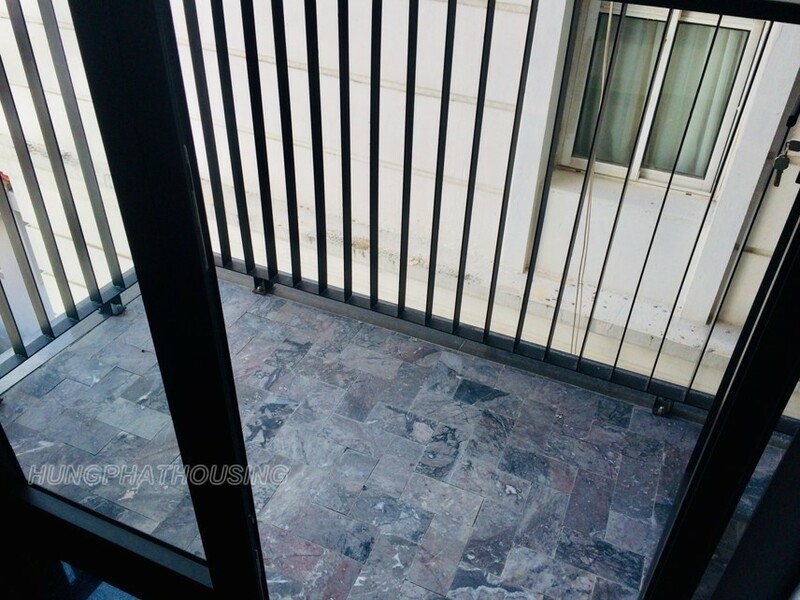 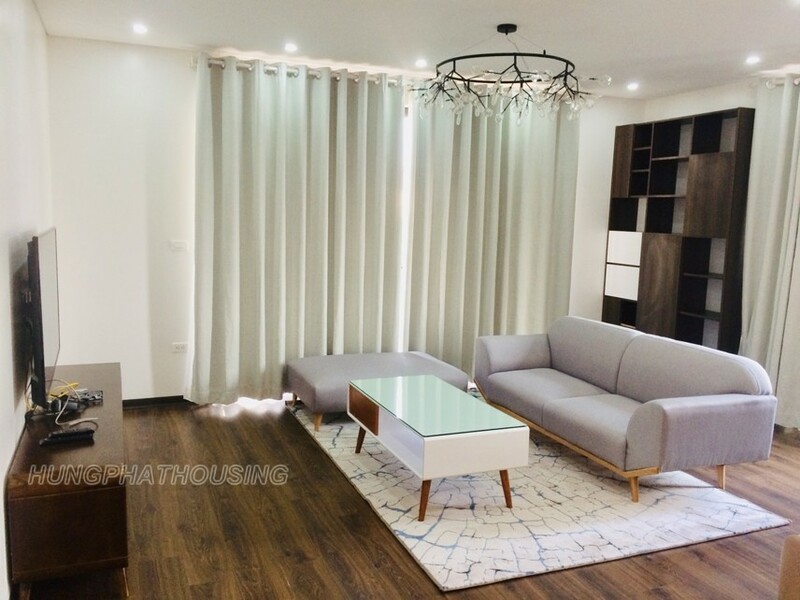 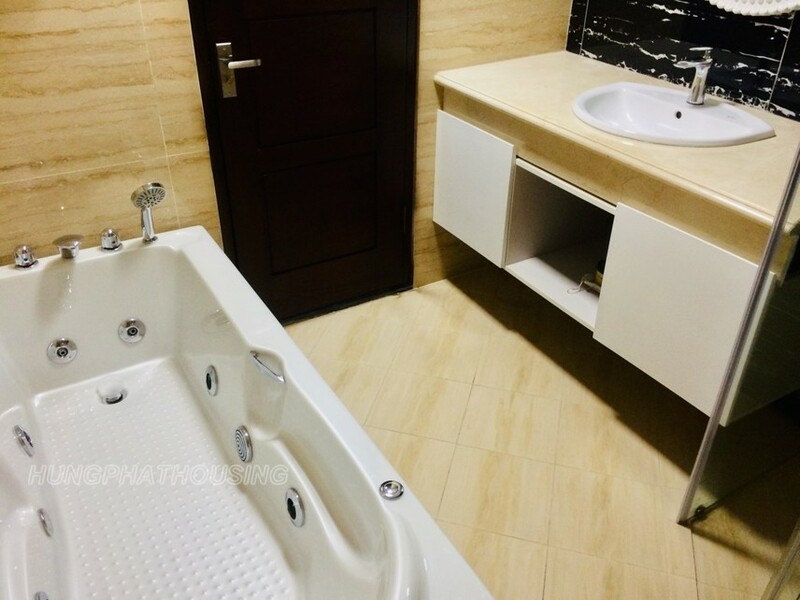 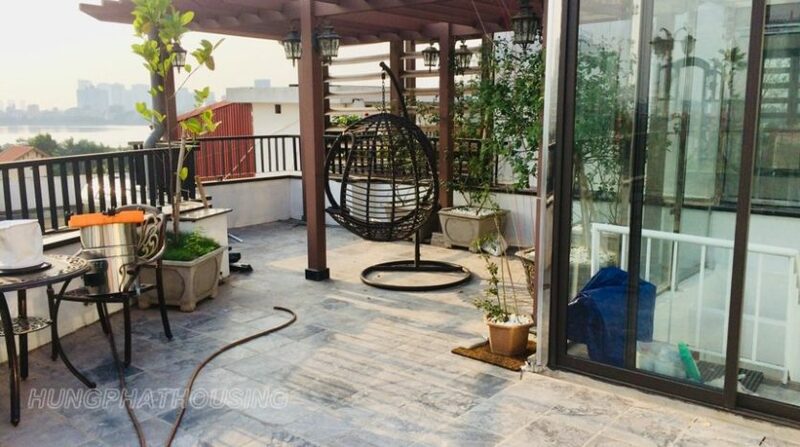 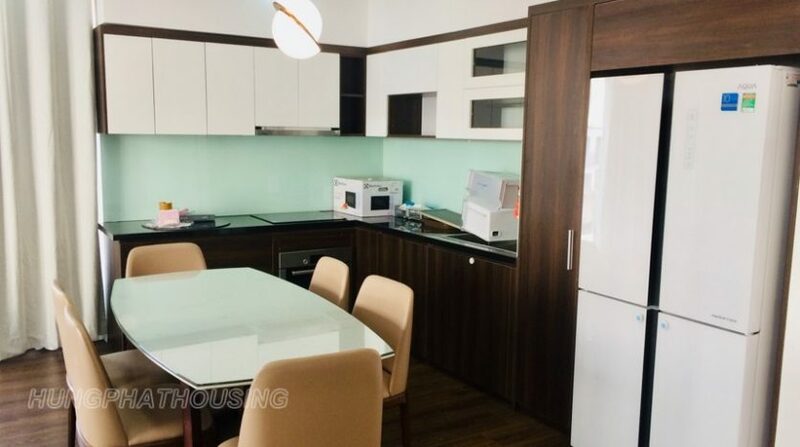 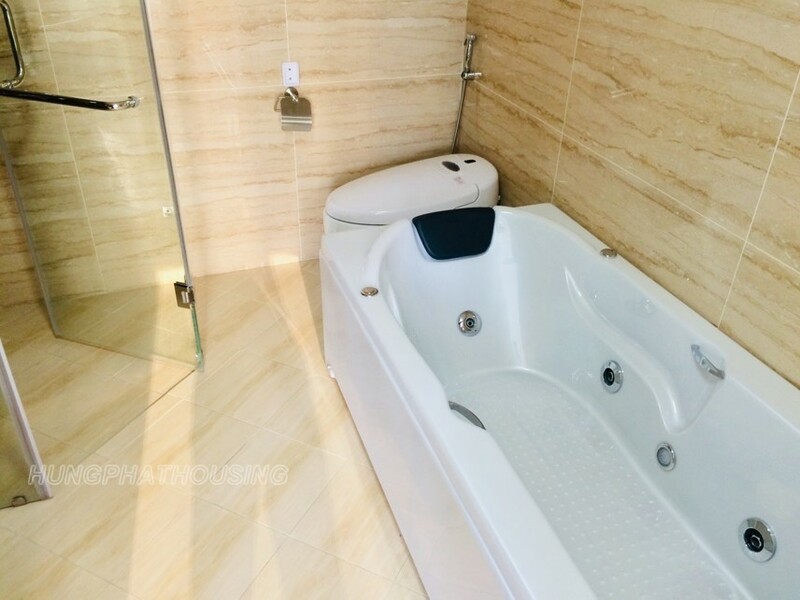 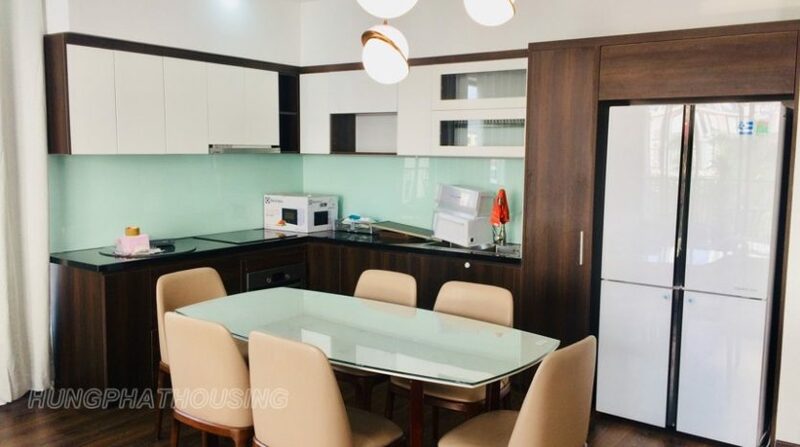 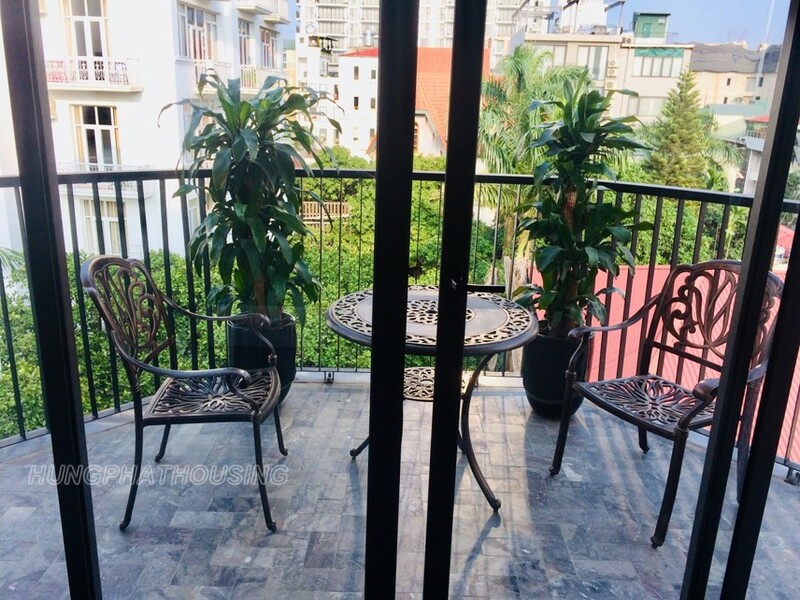 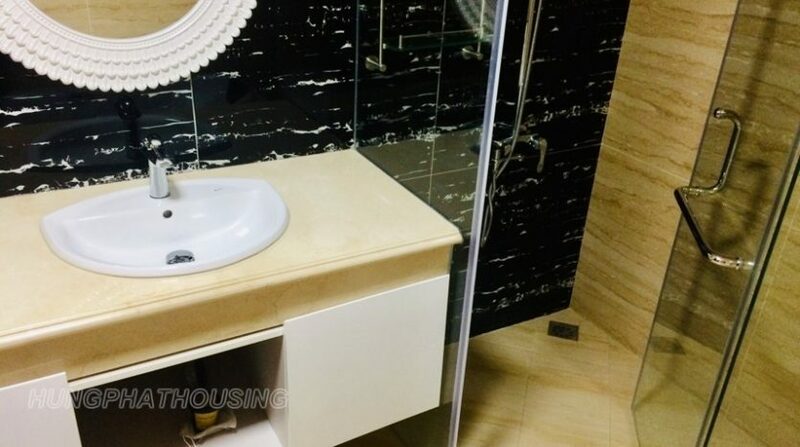 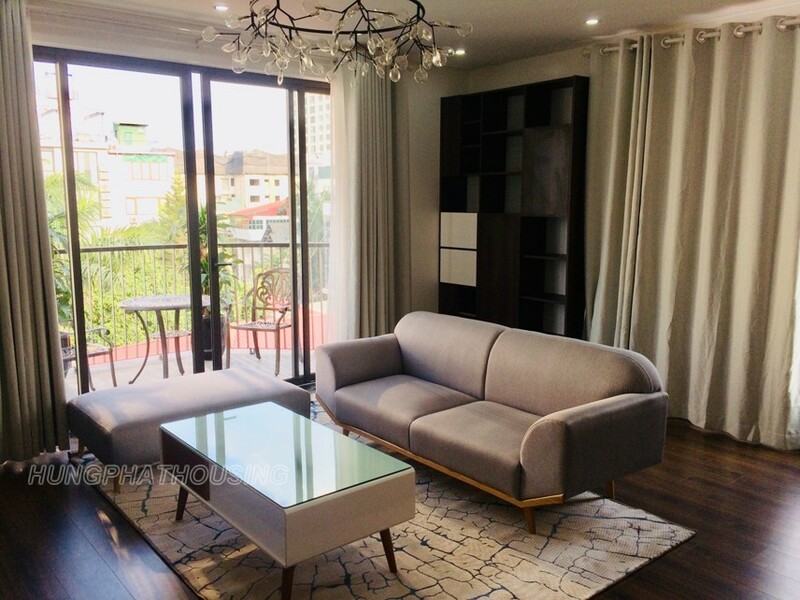 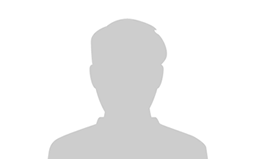 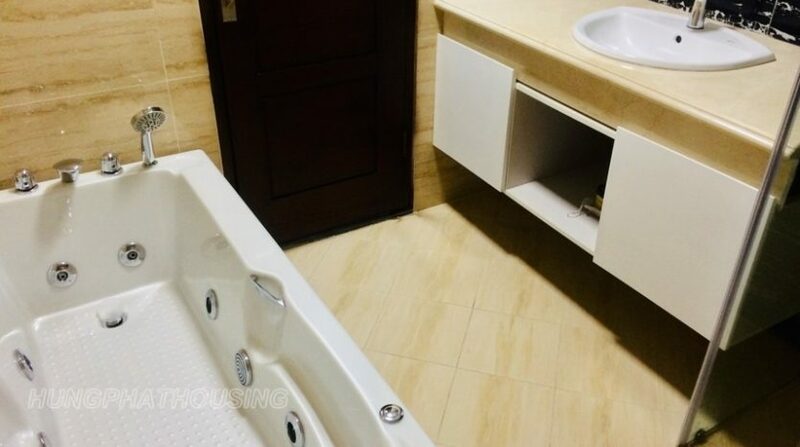 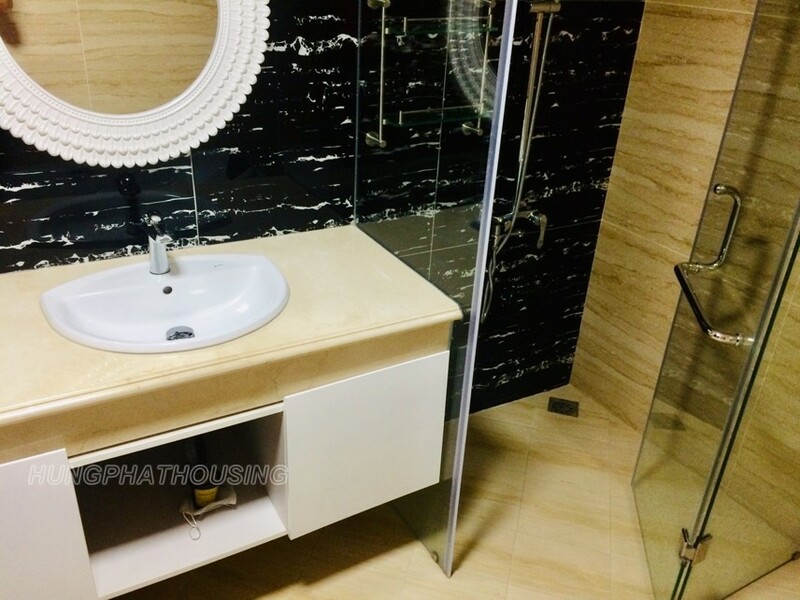 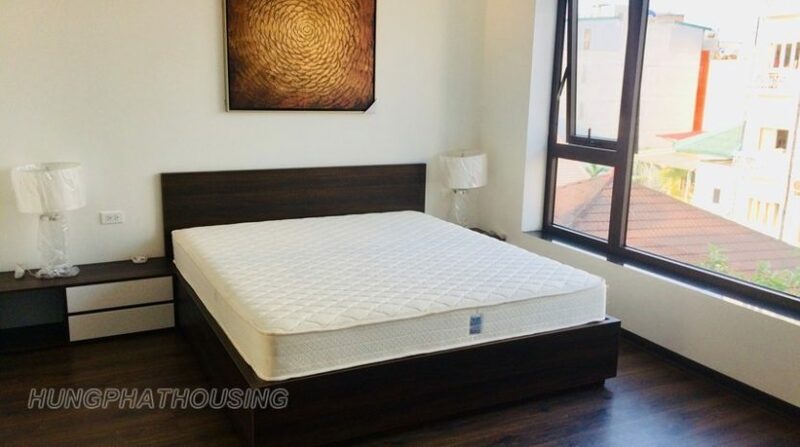 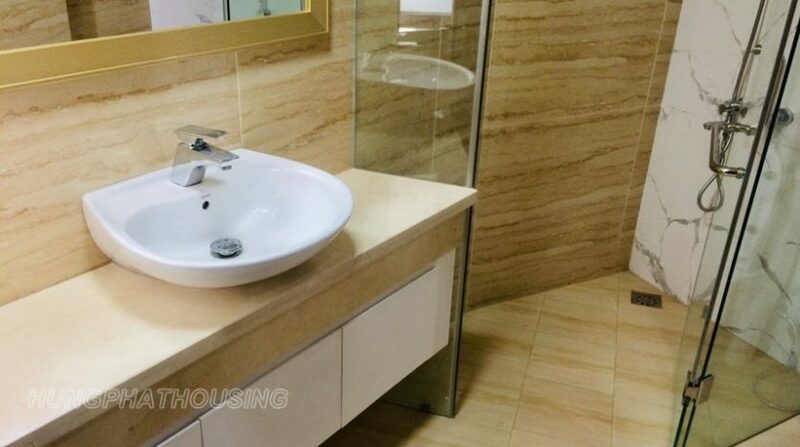 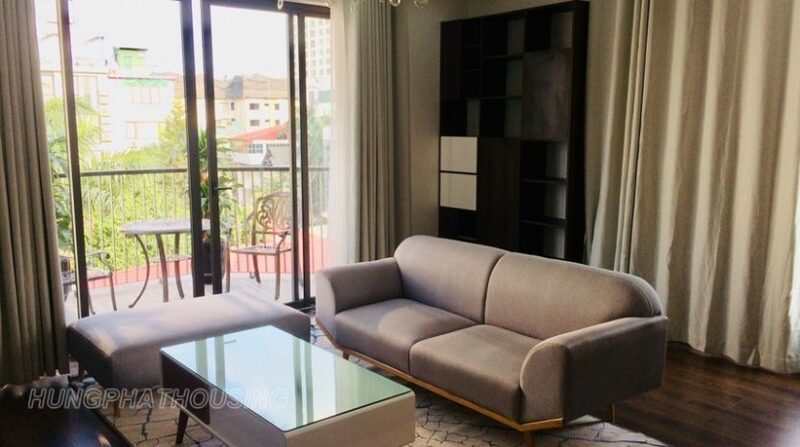 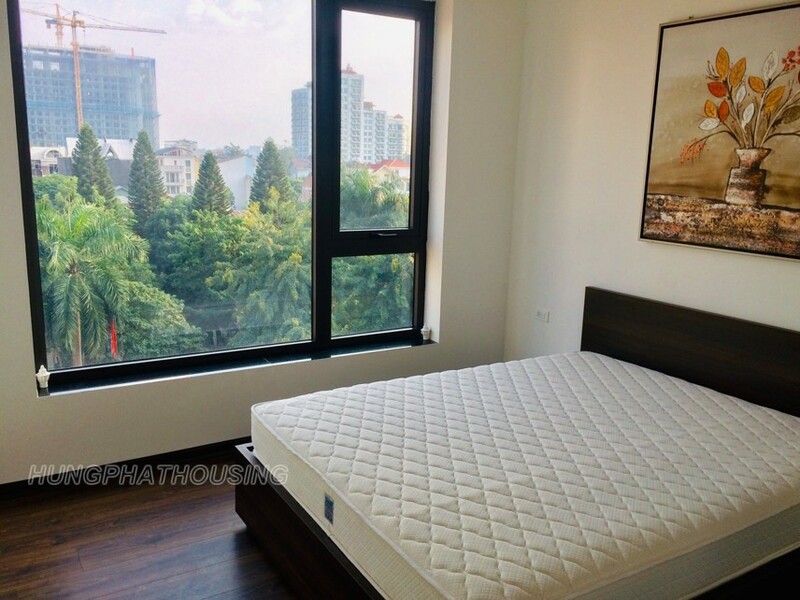 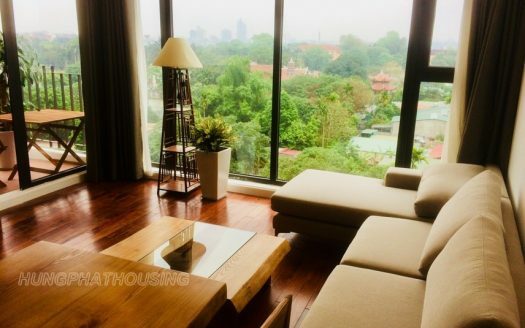 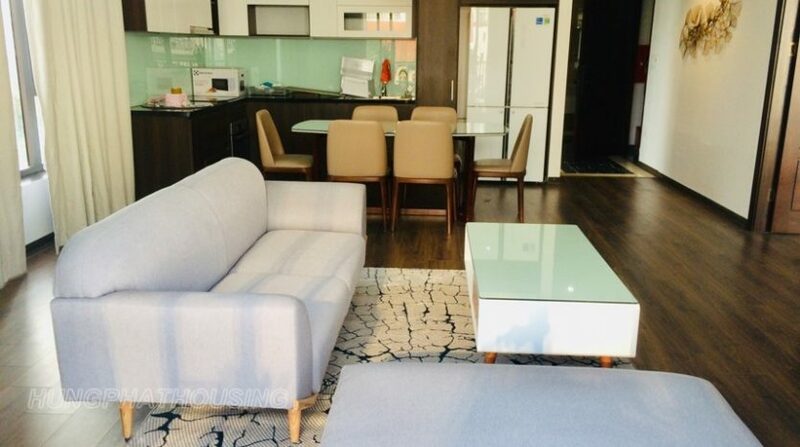 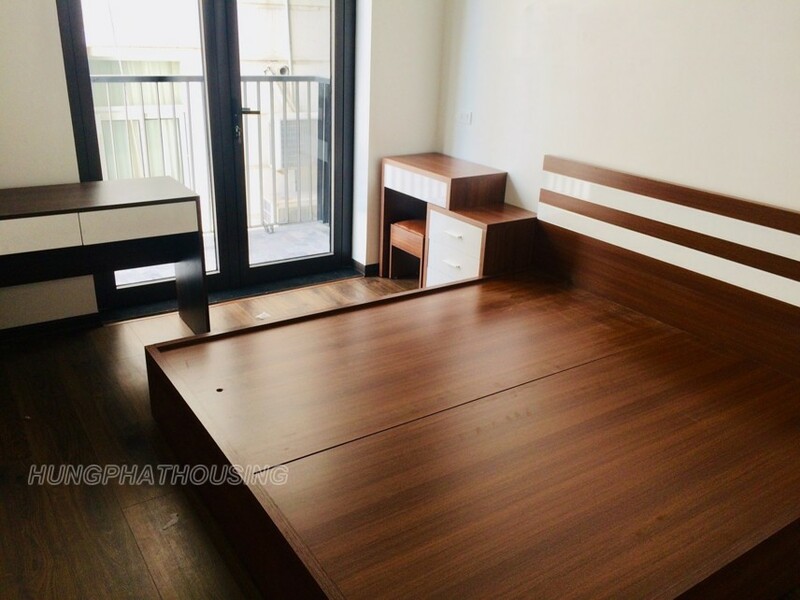 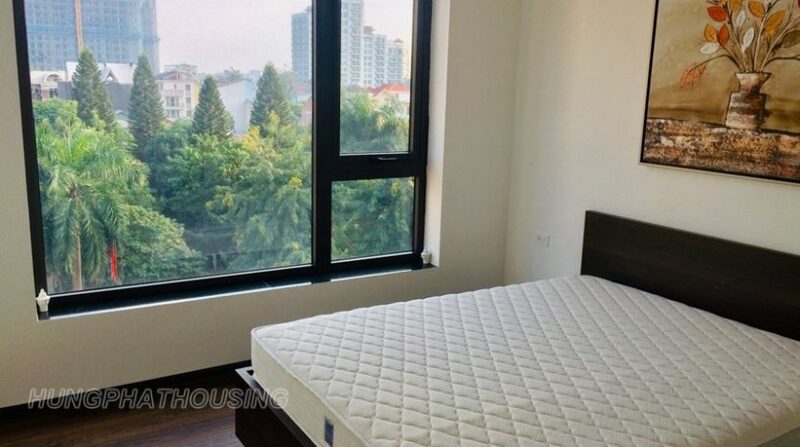 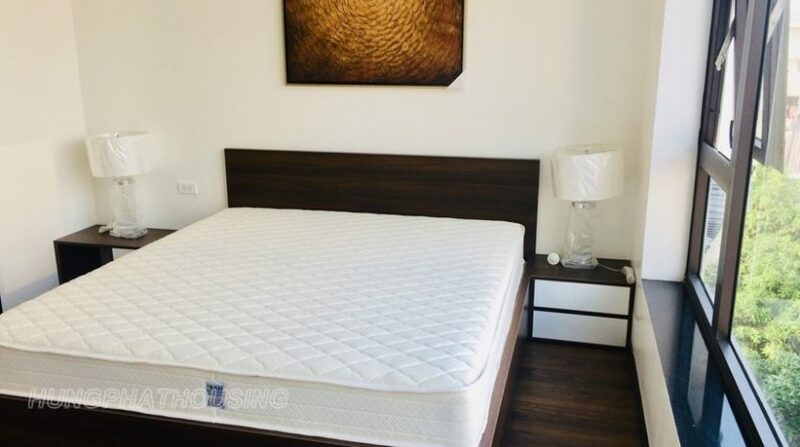 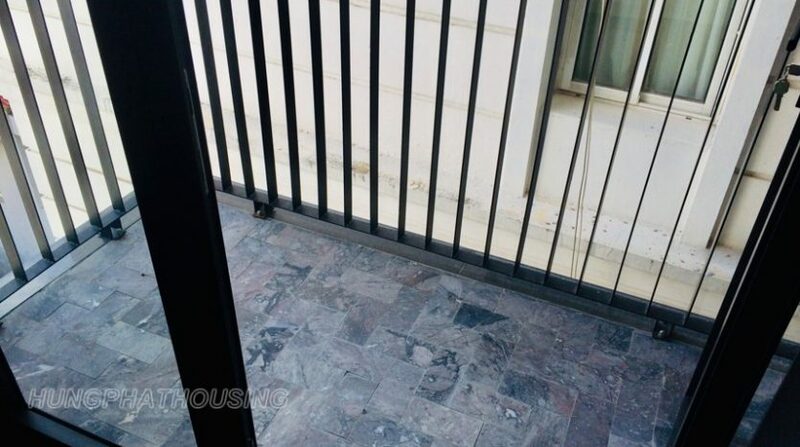 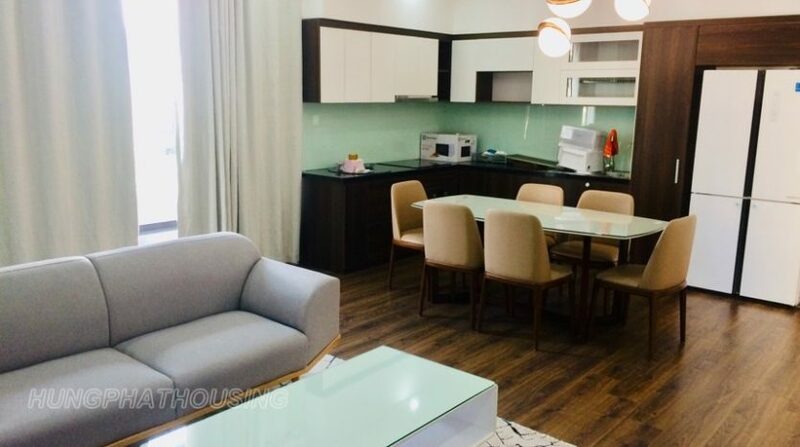 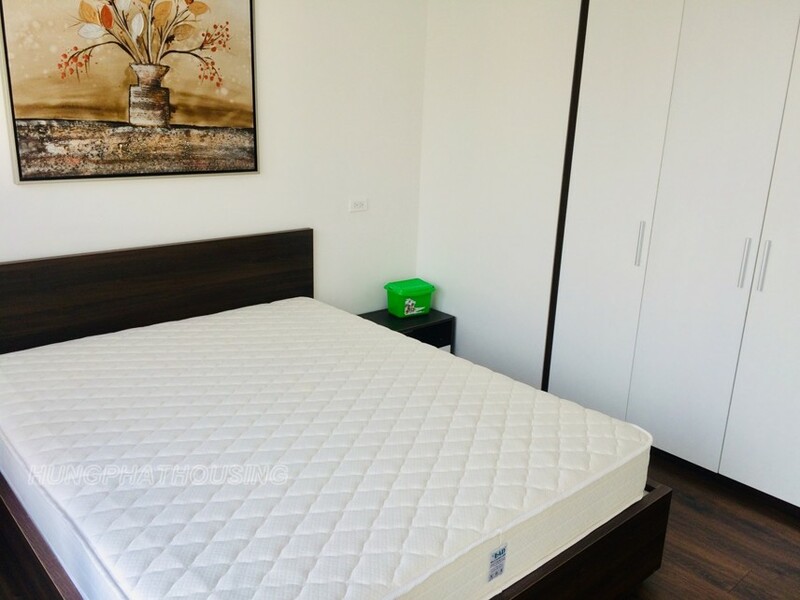 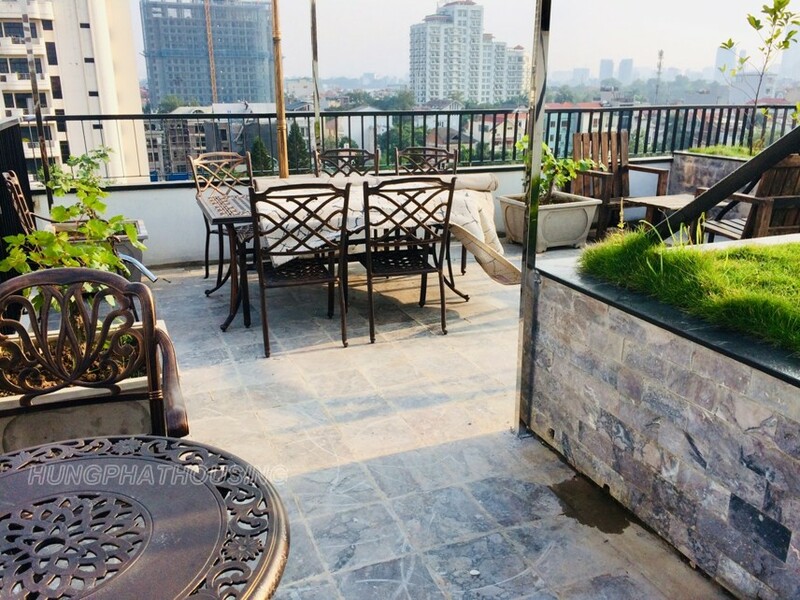 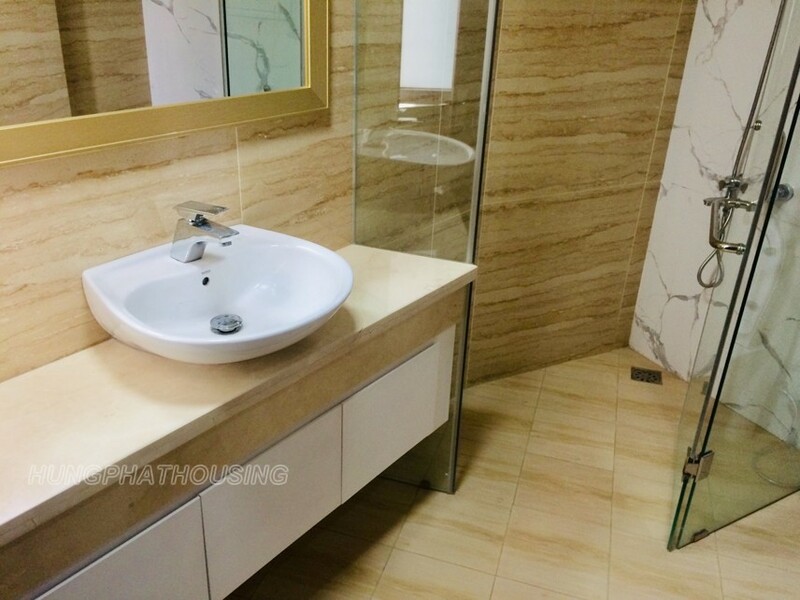 This very nice and modern 3 bedrooms apartment in a safe alley Tay Ho district . 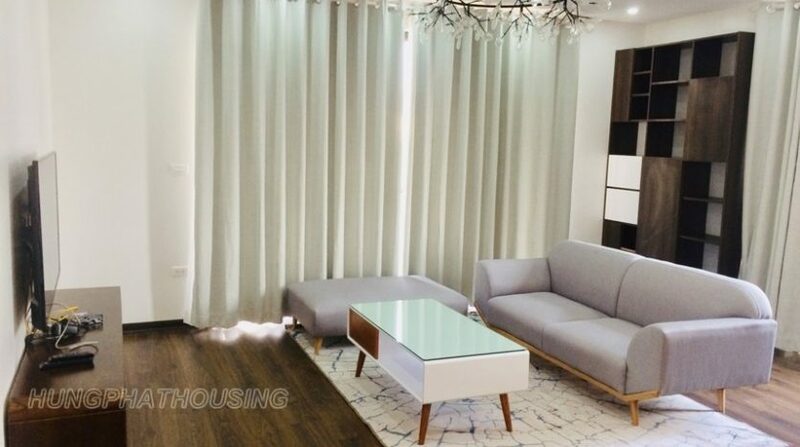 Total livingspace is 120sqm comes with a light livingroom with a balcony, a modern kitchen built-in Oven and side by side fridge. 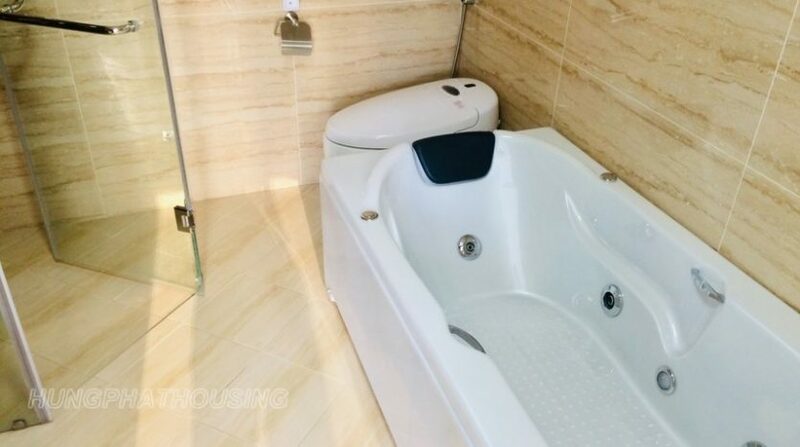 There are 3 bedrooms with 2 bathrooms . 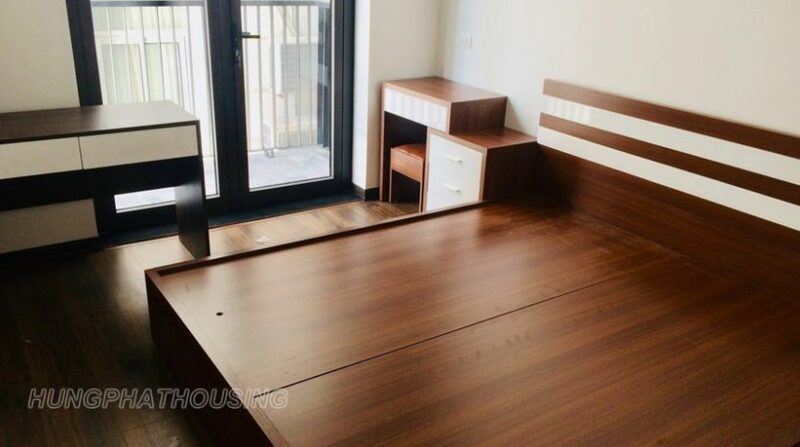 it’s come with nice and moderm furniture. 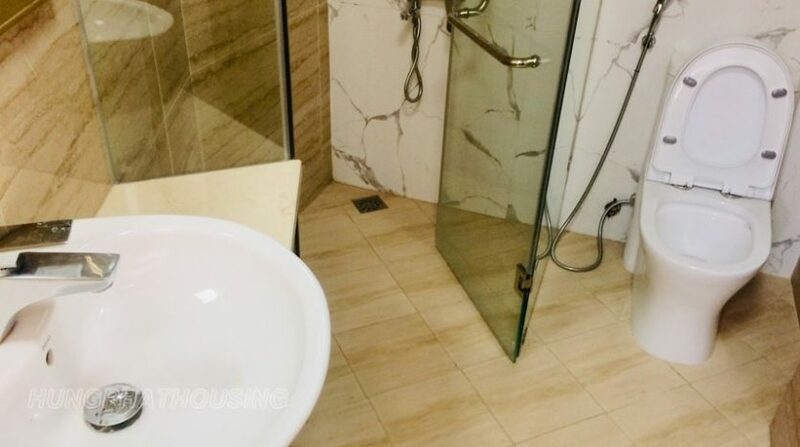 The rent includes : internet, cable tv, water.